This week has been a bit of a write off when it comes to the kitchen. Little one is finally getting back to her normal happy self, well almost. This is a massive relief as my husband and I have been working on our new business. 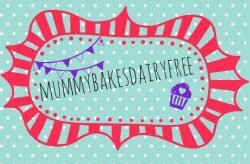 I’m going to quickly promote our business then get on with today’s recipe (honest!). Our new business venture- CabCam photo and video booth! So we have taken over a photo booth company, CabCam. 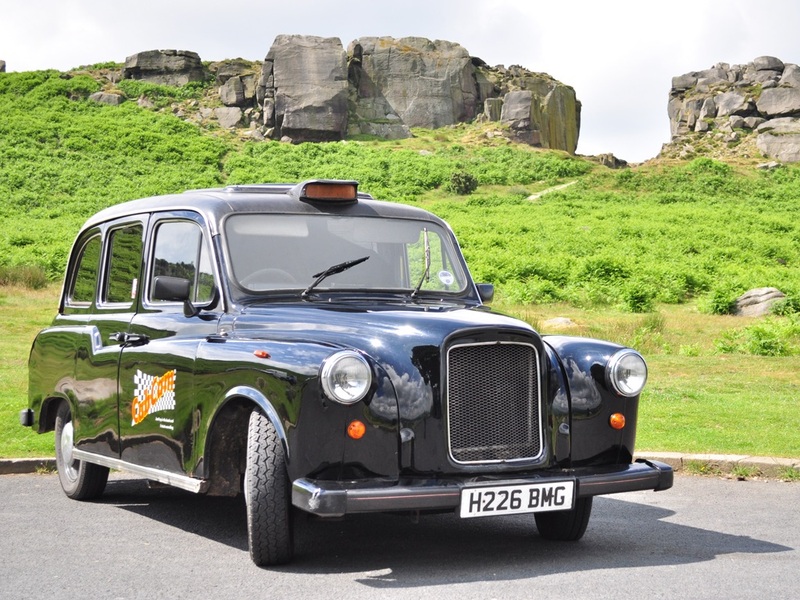 It’s a classic, London black cab with a photo and video booth in. CabCam is perfect for a wide range of events. Ideally suited for weddings and parties as it has a range of party features (karaoke anyone? ), it also has video and survey options which are perfect for corporate events and conferences. My husband and I are so excited about all the customisable options which can make each event really personalised. 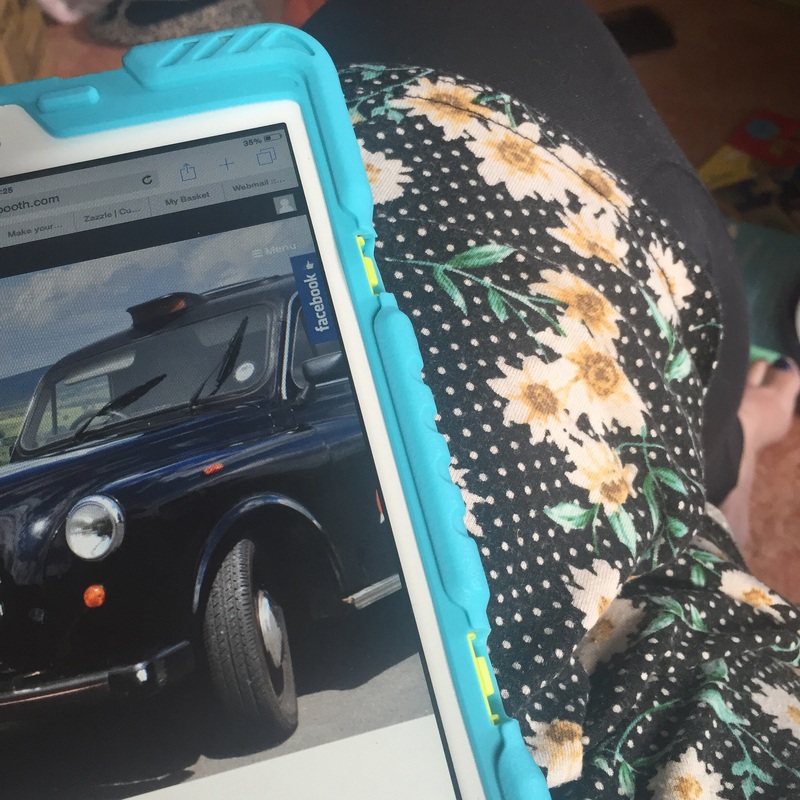 Ive been concentrating on the website, social media and publicity aspect of the business whilst my husband has been busy upgrading all the tech and software. Please take a look at our website and spread the word to friends and family! Working on our website for our new business! Last week I received a food recipe request! Eek, I feel kind of famous now haha! Dairy and egg free pancakes are something that I wanted to try for a while now. A couple of months ago I made banana and oat pancakes but I didn’t get the quantities quiet right so they weren’t all that tasty. 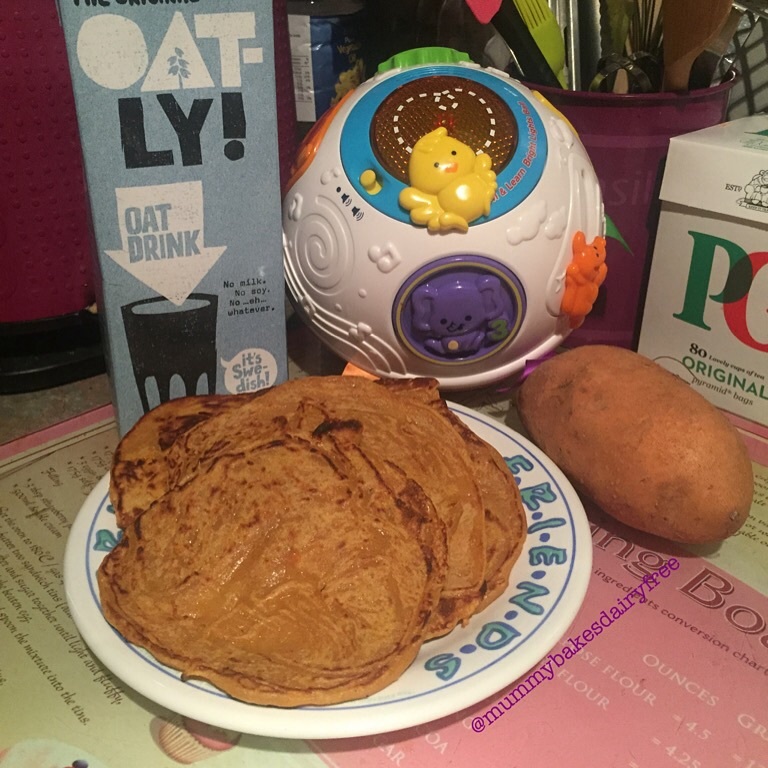 Seeing as I haven’t really mastered making the traditional pancake I was apprehensive trying a free from one, but this sweet potato recipe worked pretty well. It’s a twist on the Deliciously Ella sweet potato recipe. The original recipe calls for brown rice flour but I used plain white flour as that was all I had in the cupboard. It also suggests using coconut oil for greasing the pan but I used vegetable oil. Coconut oil is an ingredient I keep meaning to try but haven’t quite got round to buying. I have a couple of banana based pancake recipes that I am planning to try out so I’ll keep you all posted and share the successful ones! 1. Peel and chop the sweet potato into small pieces. Boil or steam the sweet potato until really soft (for about 10 minutes). 2. Add the drained sweet potato with the dairy free milk, flour, honey and cinnamon into a blender and blend until completely smooth. 3. Grease a non stick frying pan with oil and heat until really hot. 4. Add a couple of tbsp of batter to the the frying pan and smooth round to make a circle. 5. Cook the pancake for a few minutes until the pancake starts to firm up. Flip the pancake and cook for a further couple of minutes until fully cooked. 6. Repeat until you have used up the batter. Top your pancakes with fresh fruit, a drizzle of honey or anything you fancy! Stack the pancakes with a sheet of greaseproof paper between each one and freeze in an air tight container. I would recommend defrosting completely before reheating in the oven for 8-10 minutes or a couple of minutes in the microwave. Enjoying a dairy and egg free sweet potato pancake. Just found your blog. Going to try and make these tomorrow. 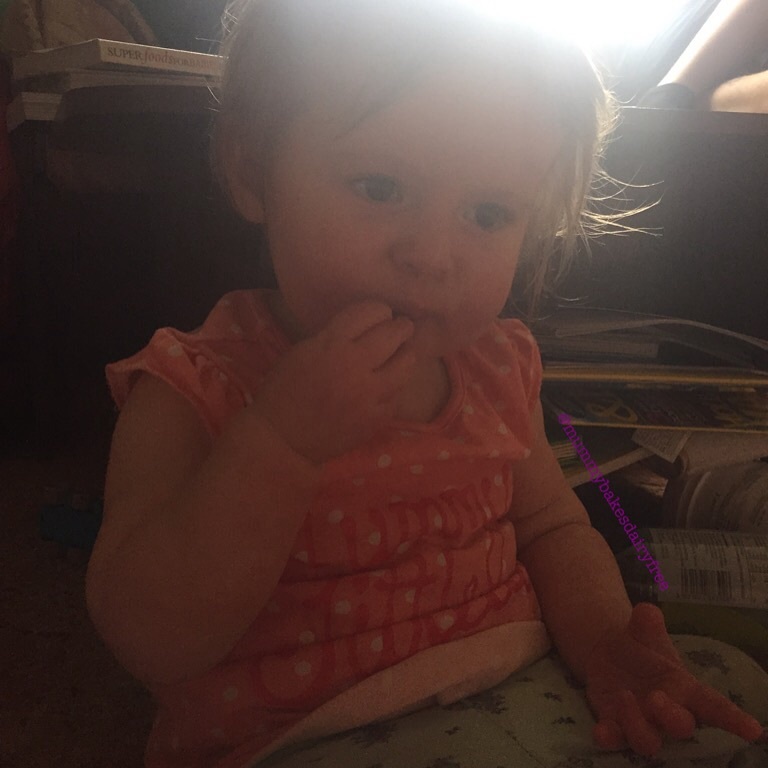 Not sure if you have it noted but honey not suitable for infants younger than one year so I will leave that out and maybe try some thing like a syrup.